Yesterday Cheap Monday opened the 'Cheap Monday Sneak Peek Shop' - a digital pop-up shop - through a unique collaboration with e-commerce start-up Tictail. In the online shop you can purchase the Swedish jeans and fashion brand's spring/summer 2013 collection before the actual fashion show that takes place on Tuesday 28th August, turning fashion logic upside down. 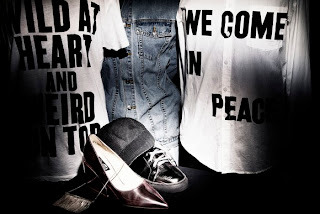 If you're a facebook fan of Cheap Monday you can access the shop through a code.